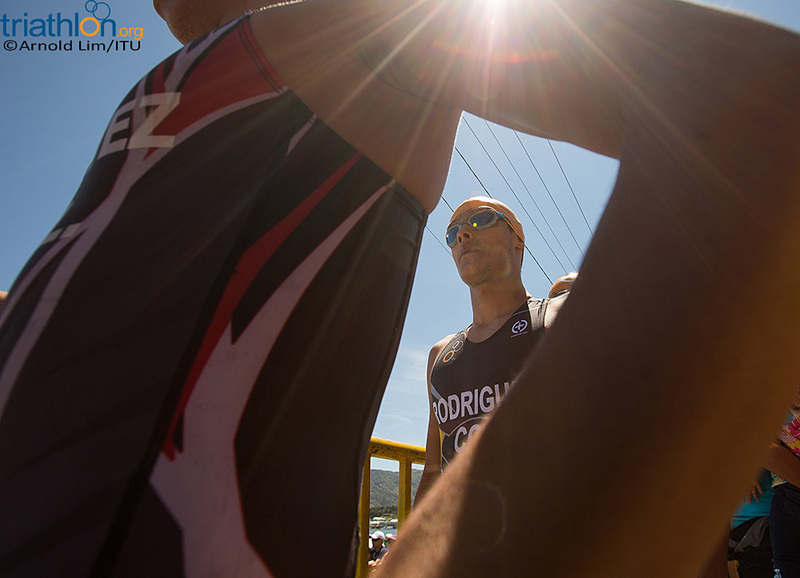 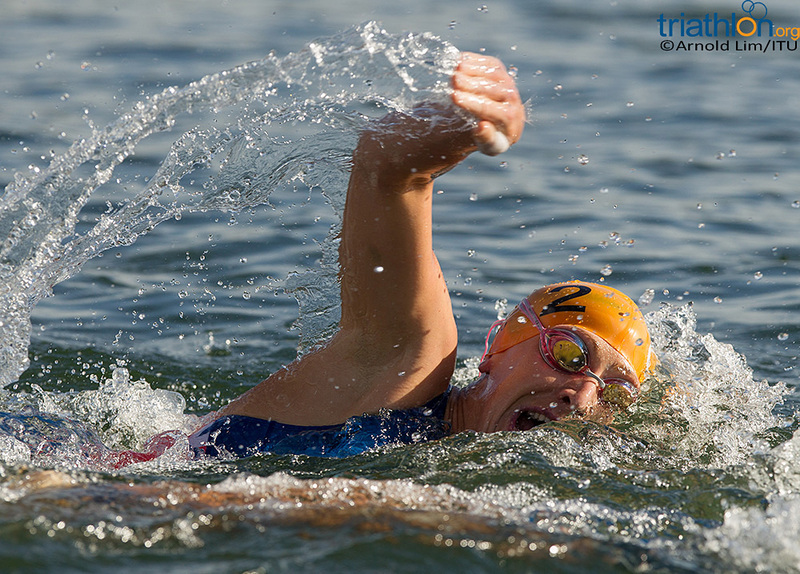 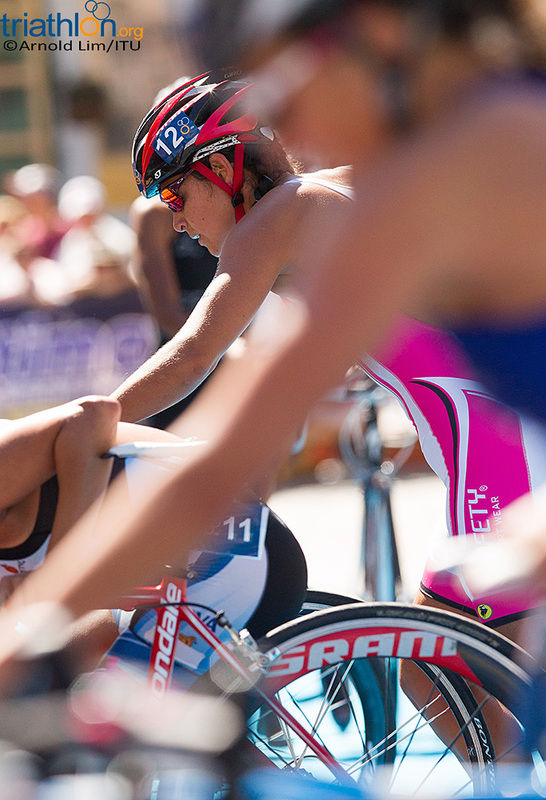 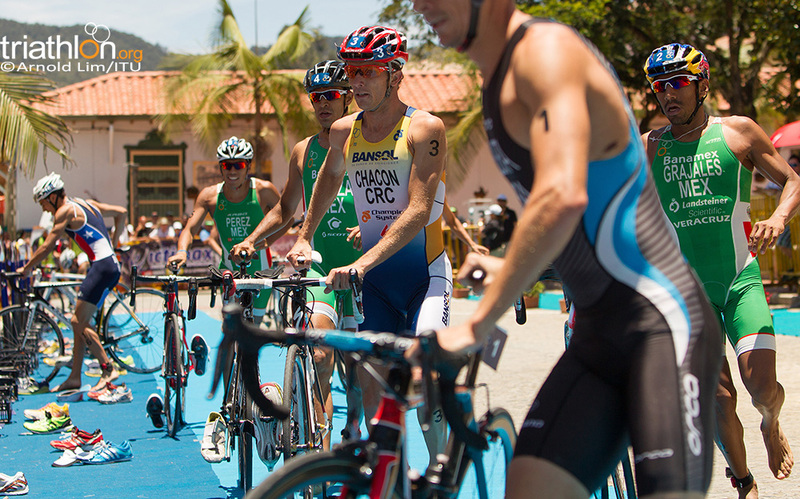 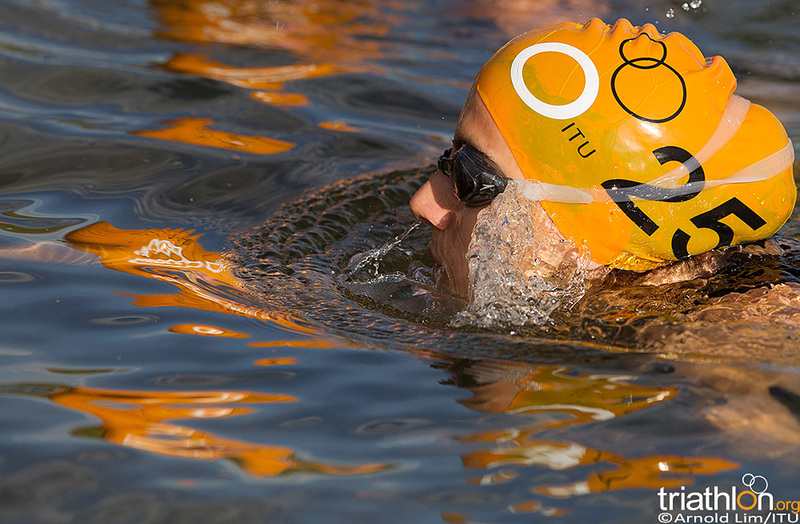 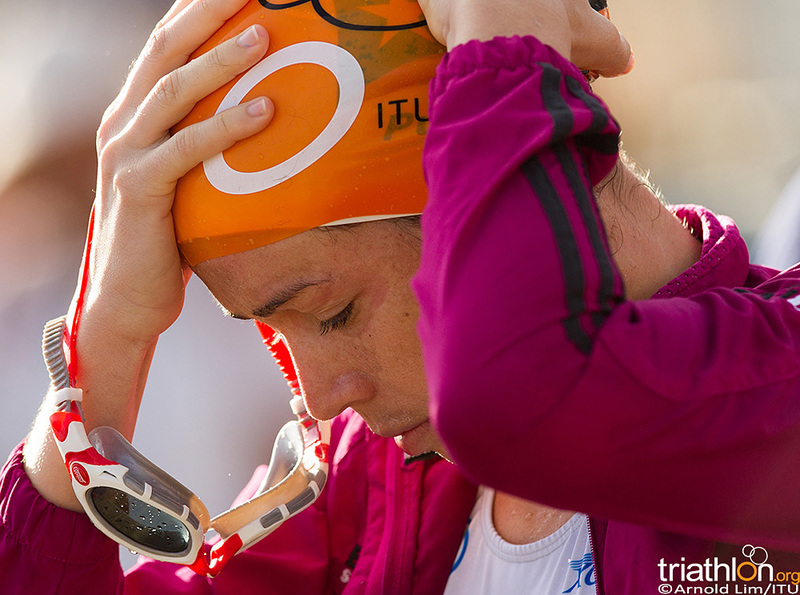 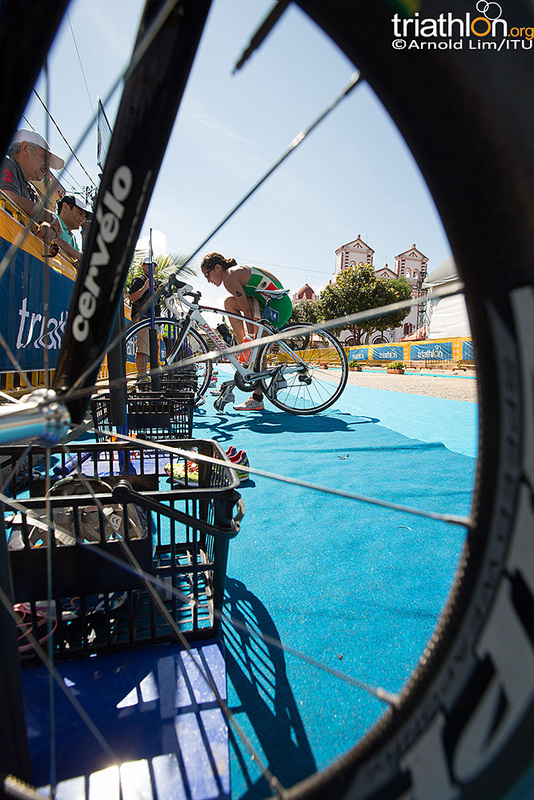 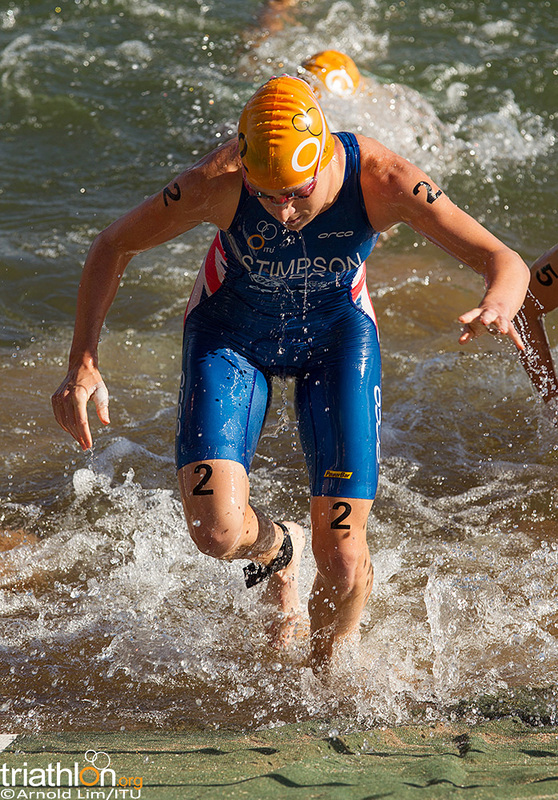 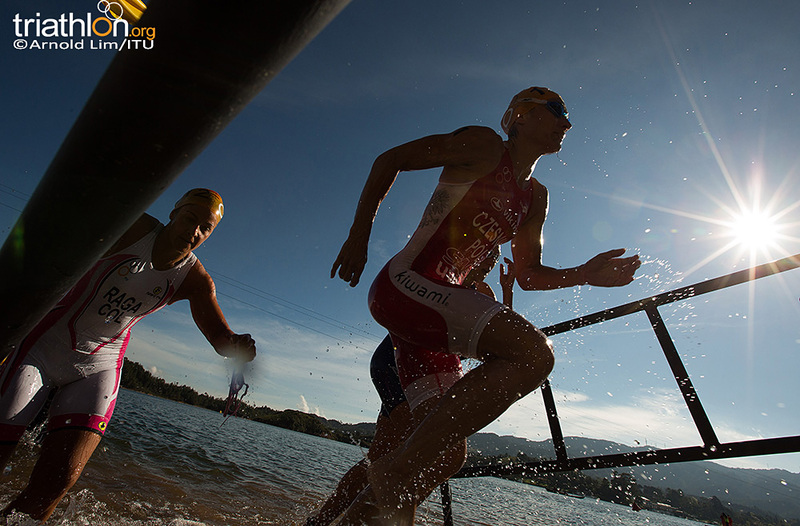 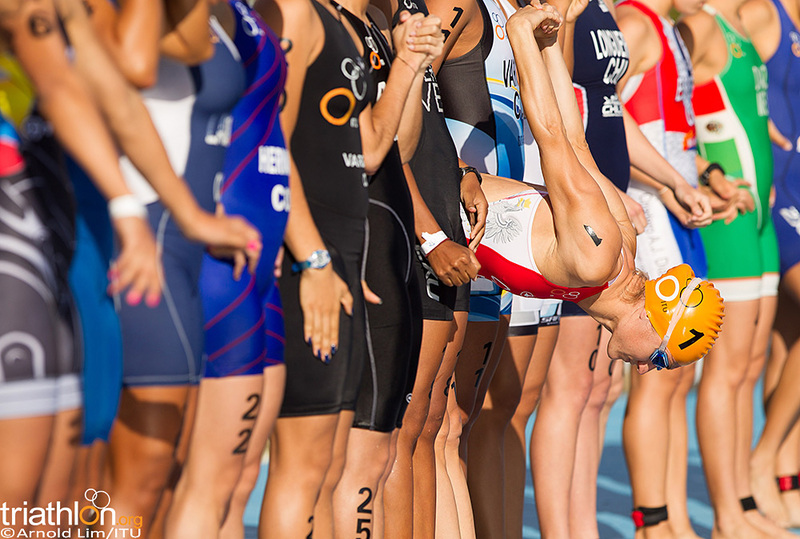 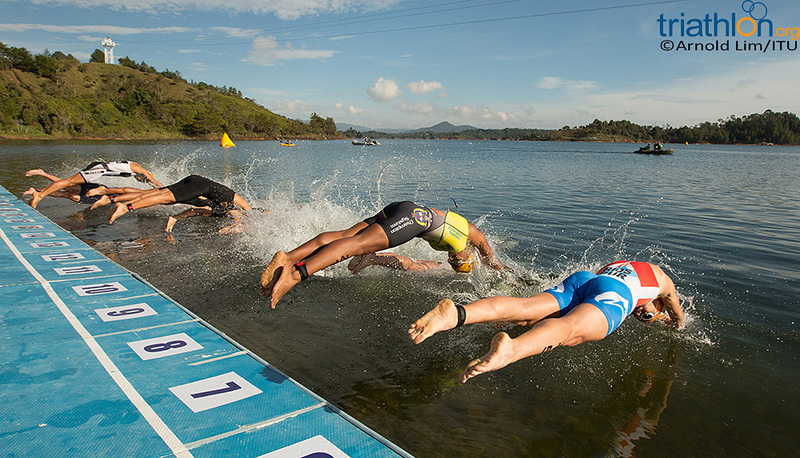 One of the toughest courses on the ITU World Cup schedule is just days away from action. 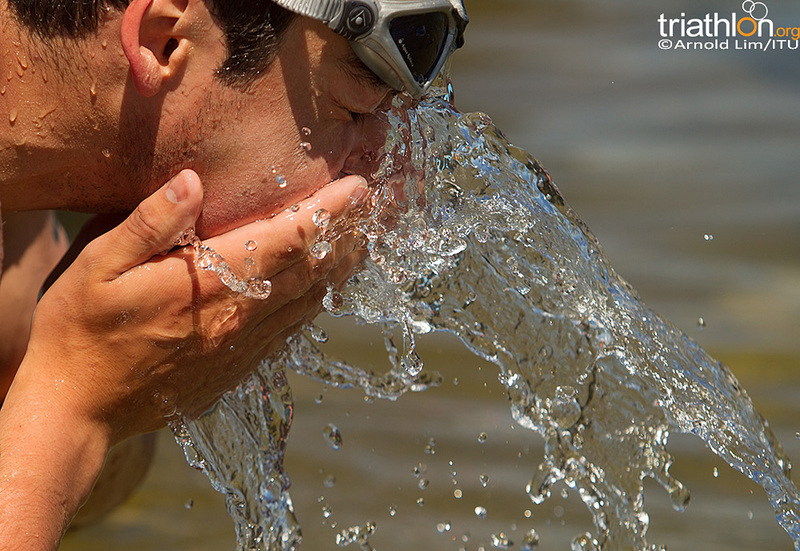 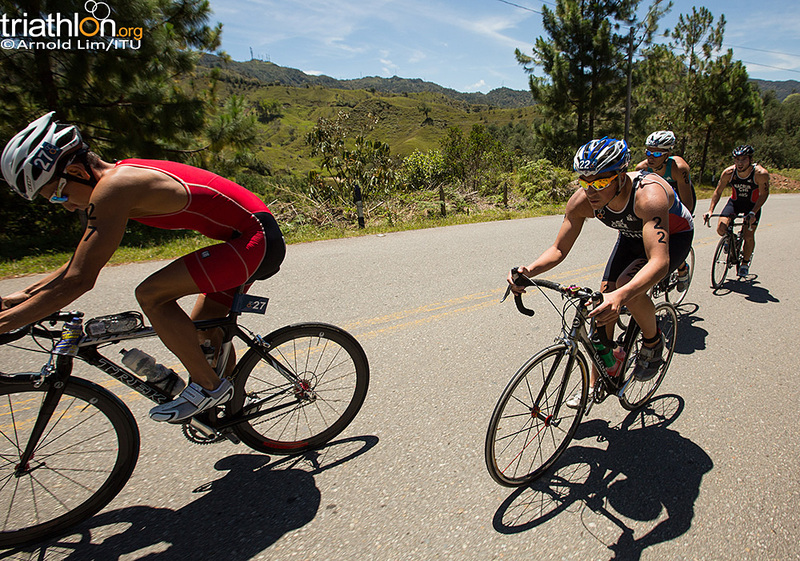 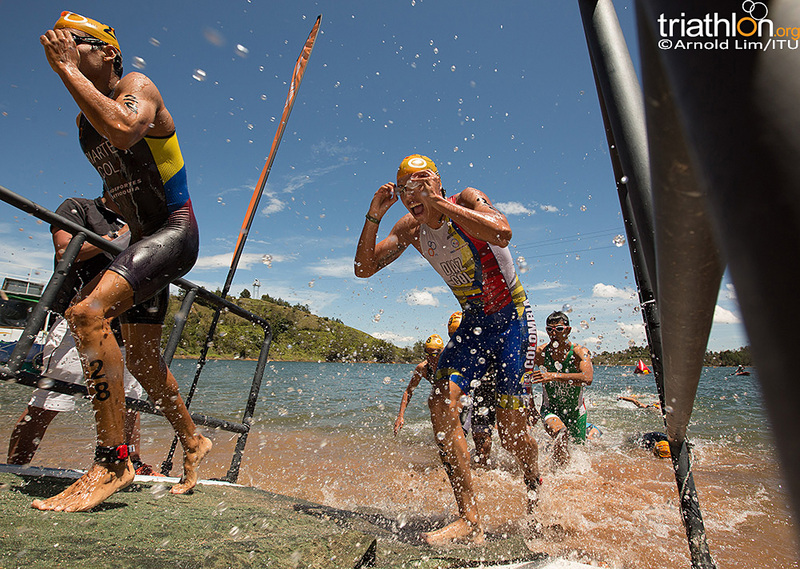 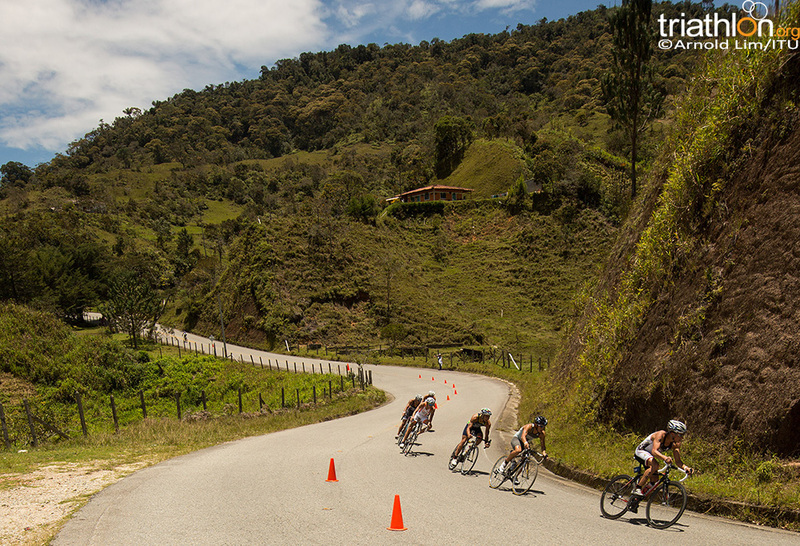 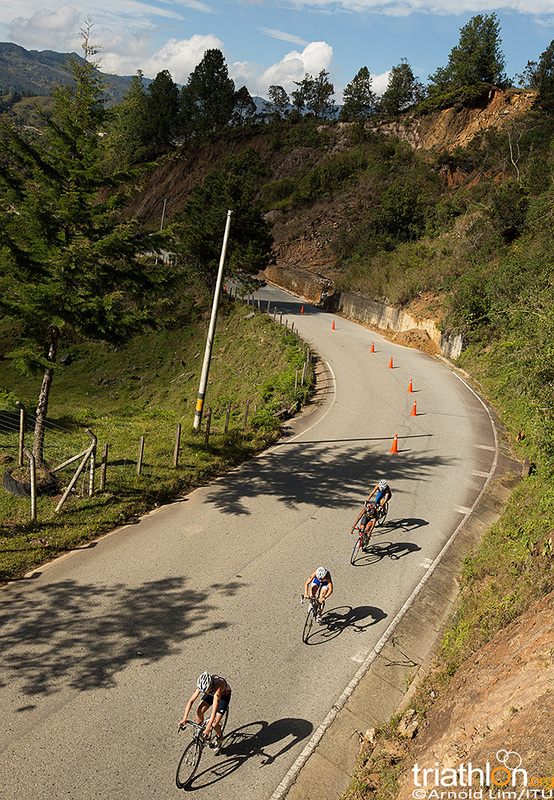 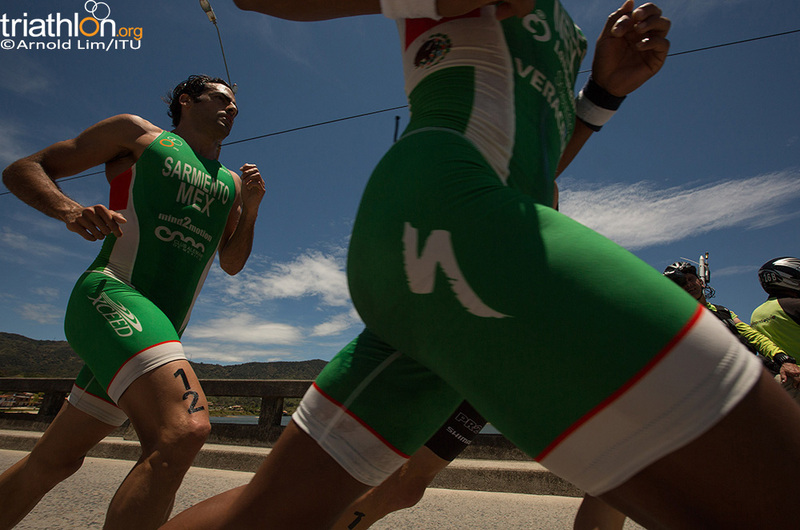 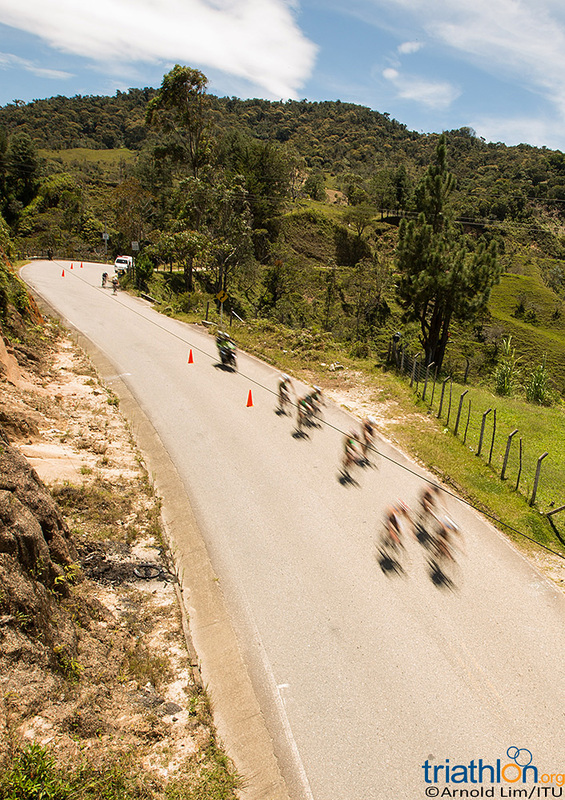 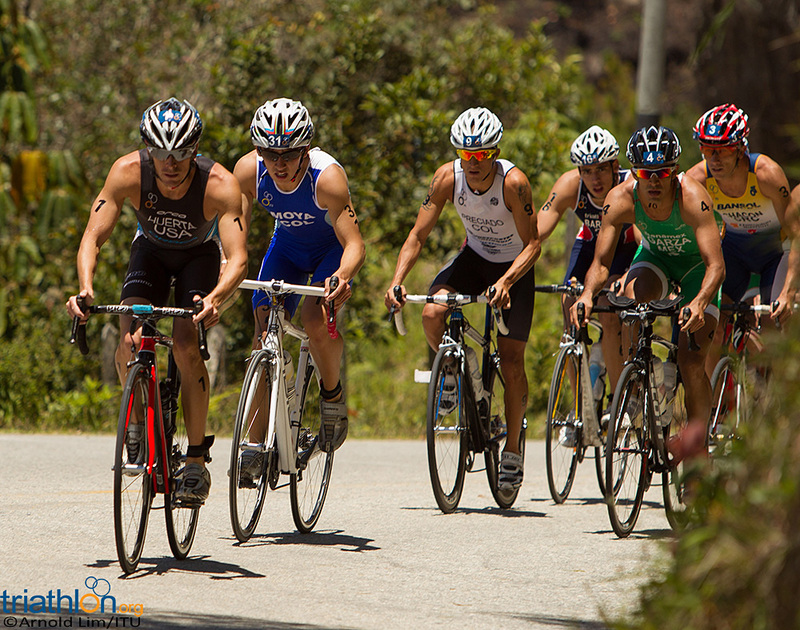 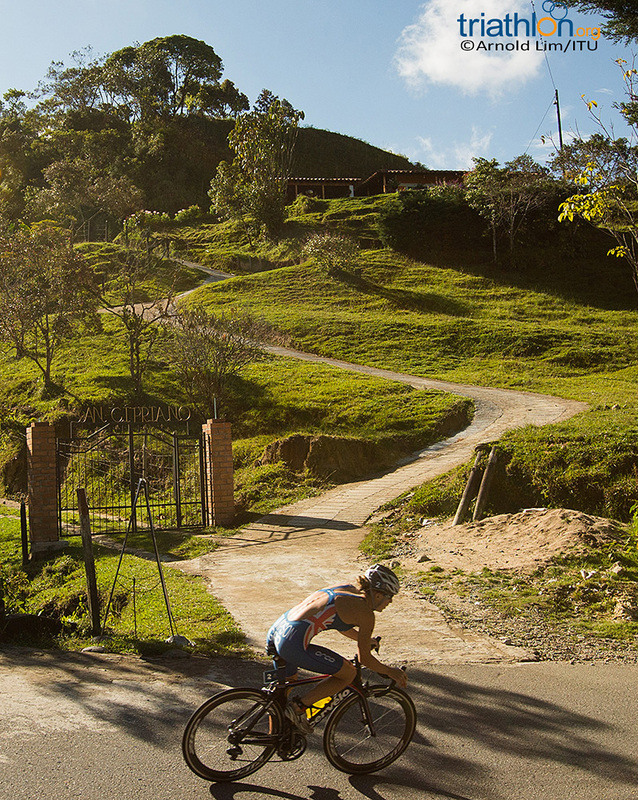 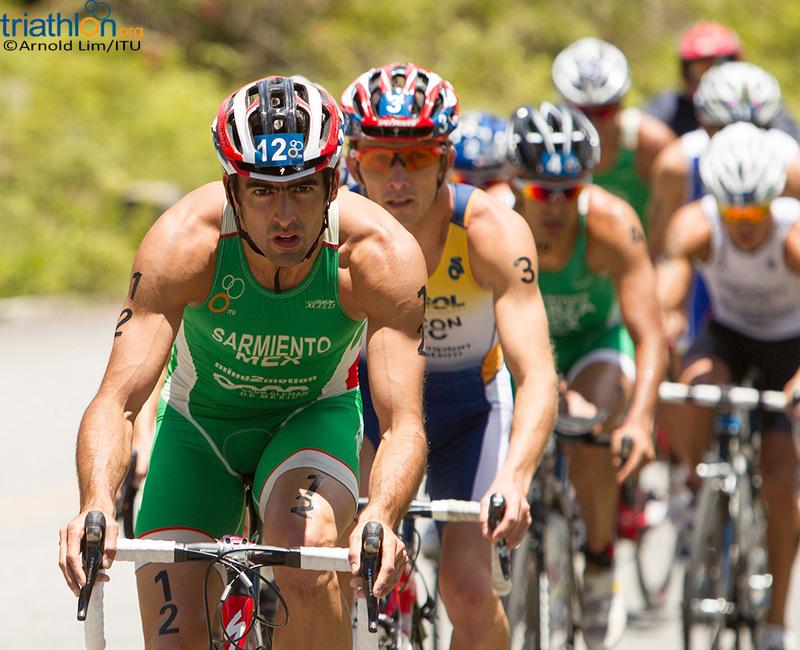 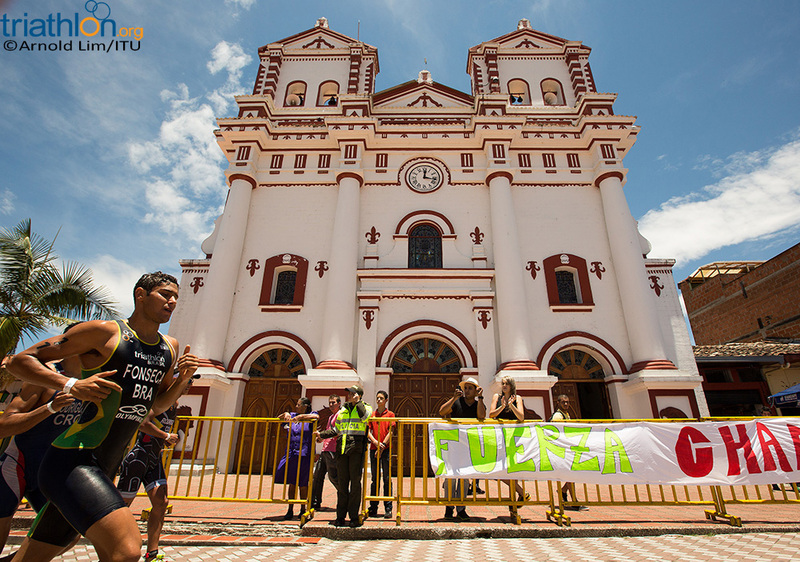 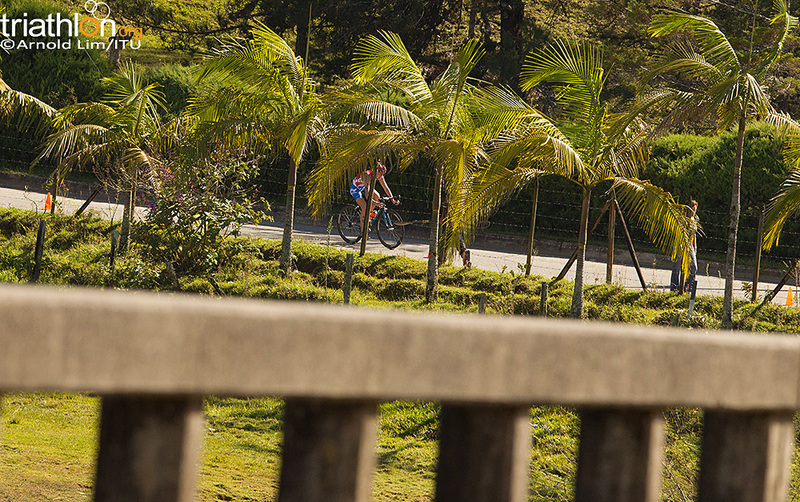 With a hill nearly two kilometers long set at an altitude of 6,300 feet, the 2012 Guatape ITU Triathlon World Cup will push athletes to the limit. 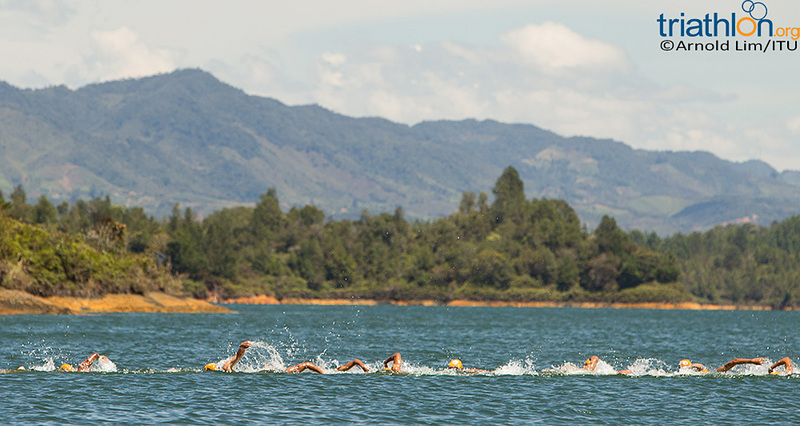 While torrential downpours forced race officials to shorten the course to a sprint distance in 2011, the original Olympic distance course returns this year to give athletes twice the challenge. 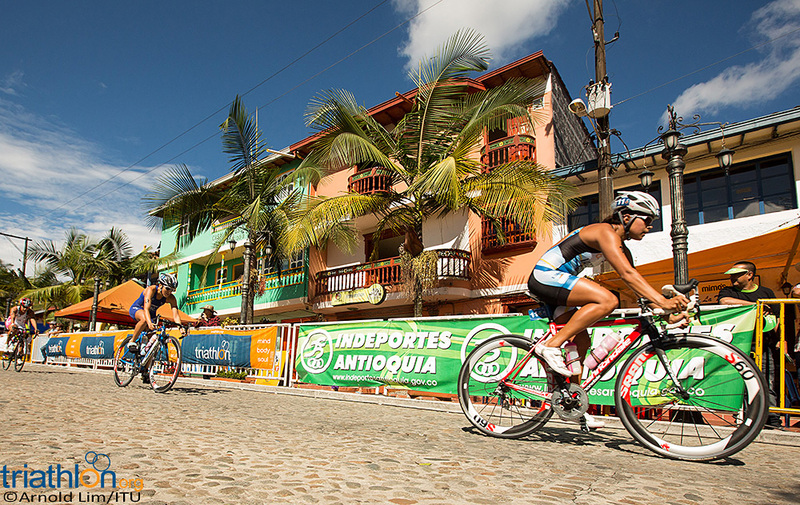 With a bike course that favours strong cyclists and many of the top faces in ITU racing missing from the start list, the women’s race is open for the taking. 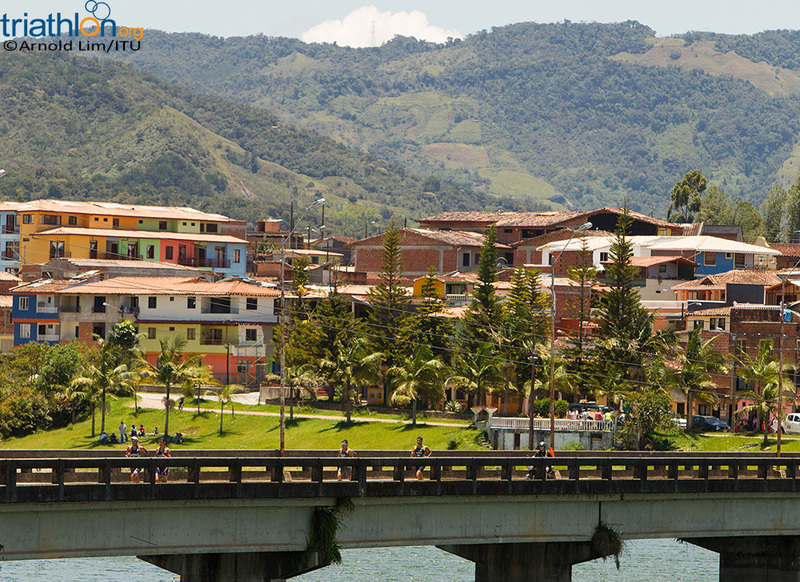 With only three entries outside of Latin American countries, Guatape will showcase plenty of Central and South America’s talent. 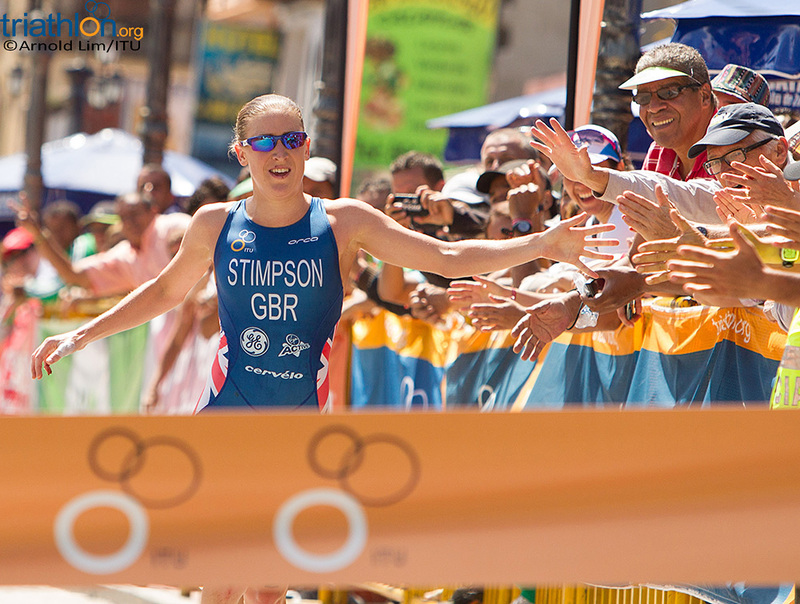 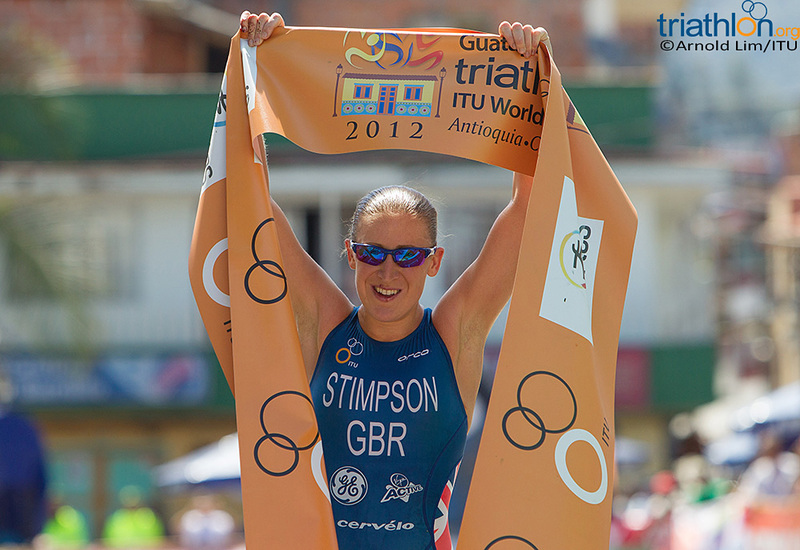 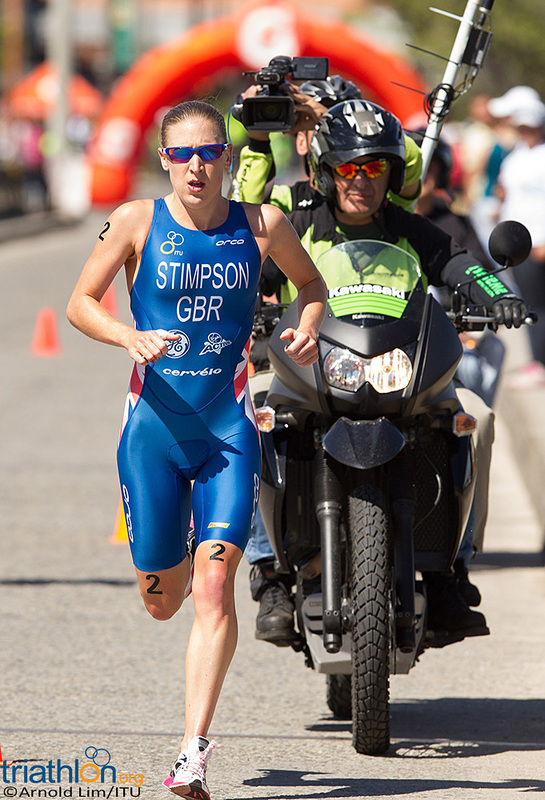 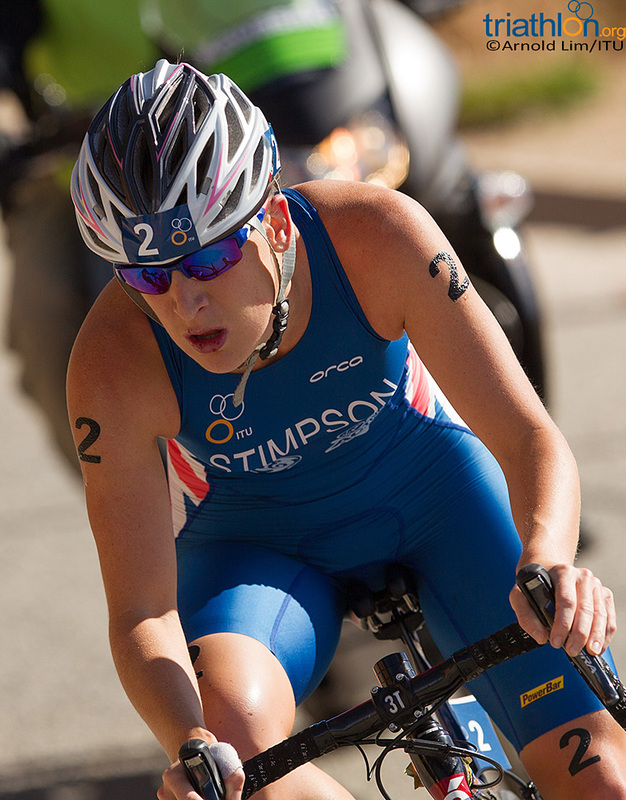 Jodie Stimpson (GBR), who is the sole women’s entry for Great Britain, could capitalize on this race to take her first World Cup title. 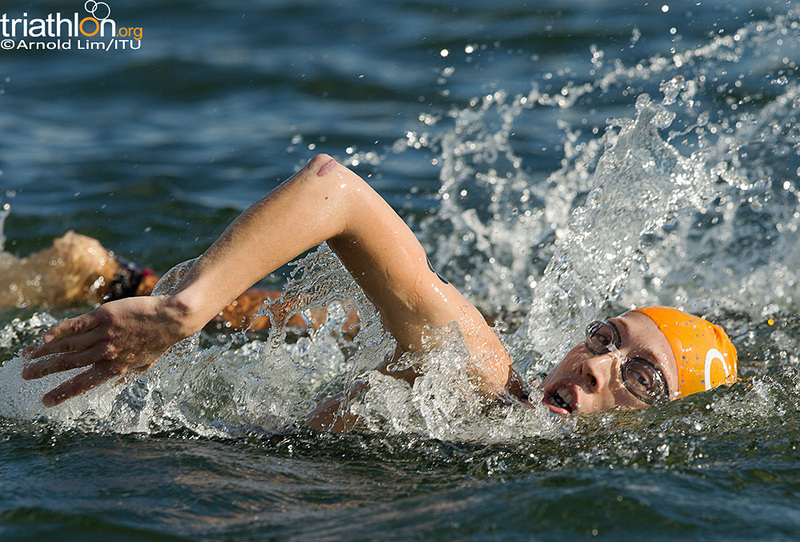 If the 2011 World Championship mixed relay gold medallist exits the water in front, she will stand a good chance at maintaining her position. 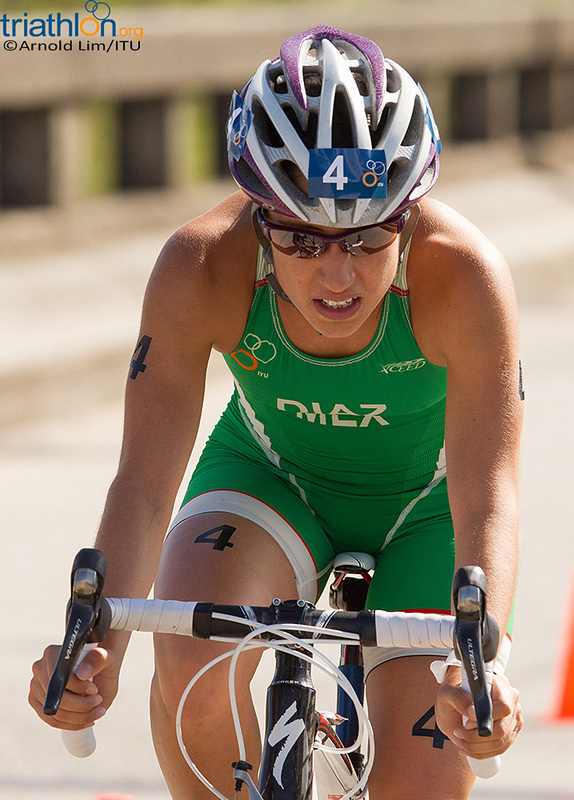 Maria Czesnik (POL) carries with her the experience the competing at the London Olympics and will wear No. 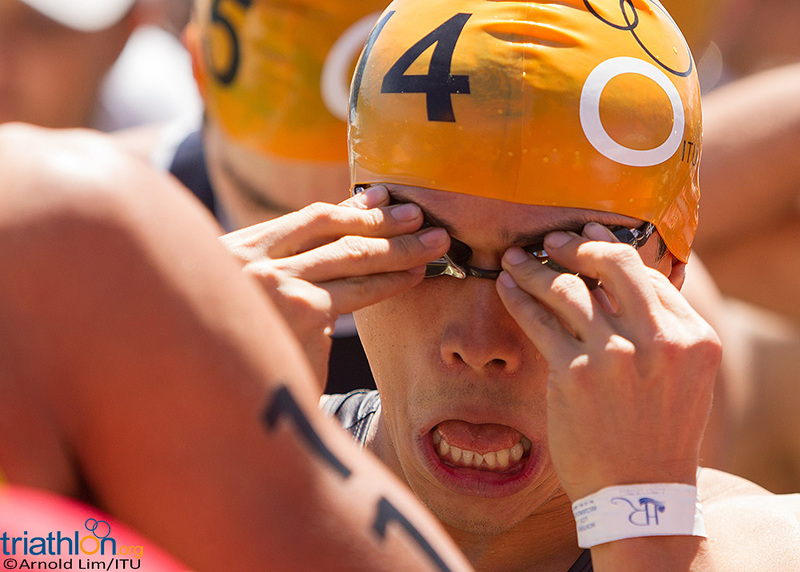 1 when she toes the start line. 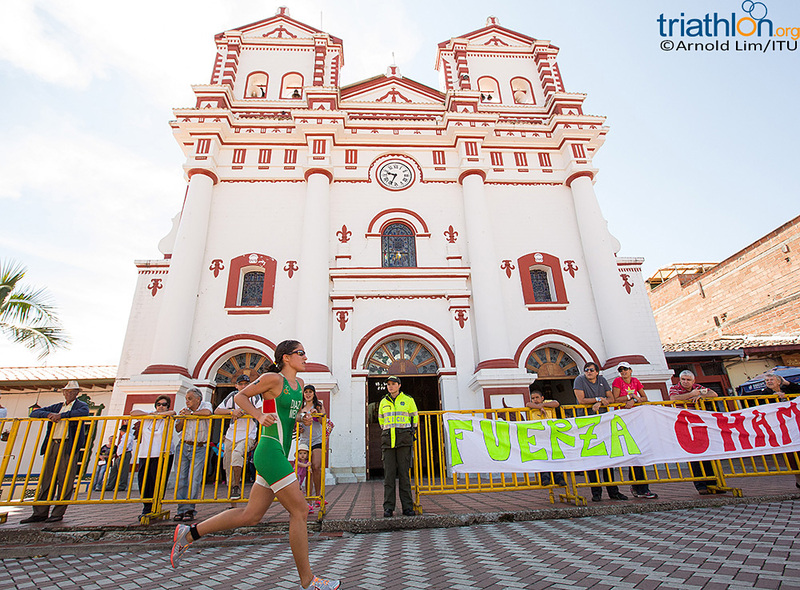 Maria Isabel Escudero, who has proven fierce as a junior with numerous top five finishes in Pan American races, will add Guatape to her resume as an elite. 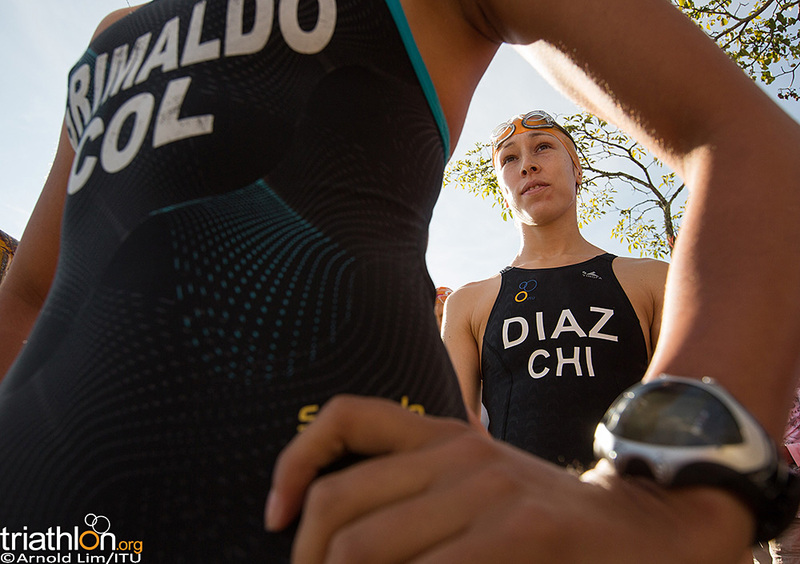 With just a handful of elite starts under her belt, Escudero could be a dangerous question mark. 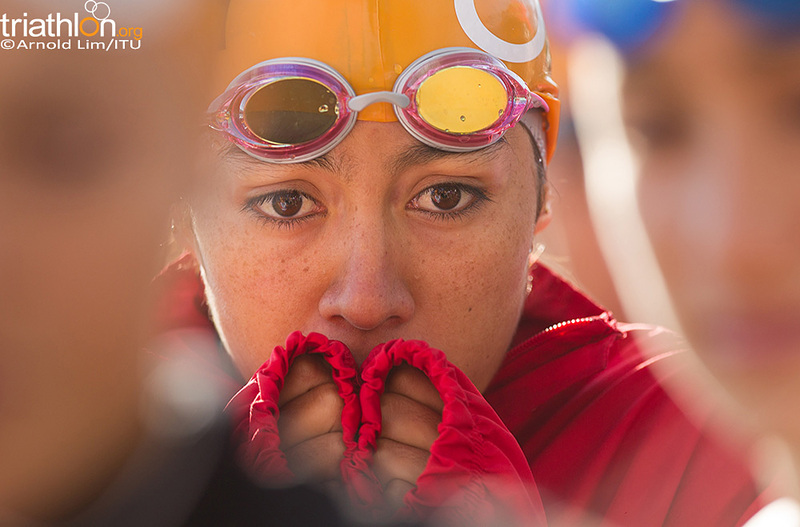 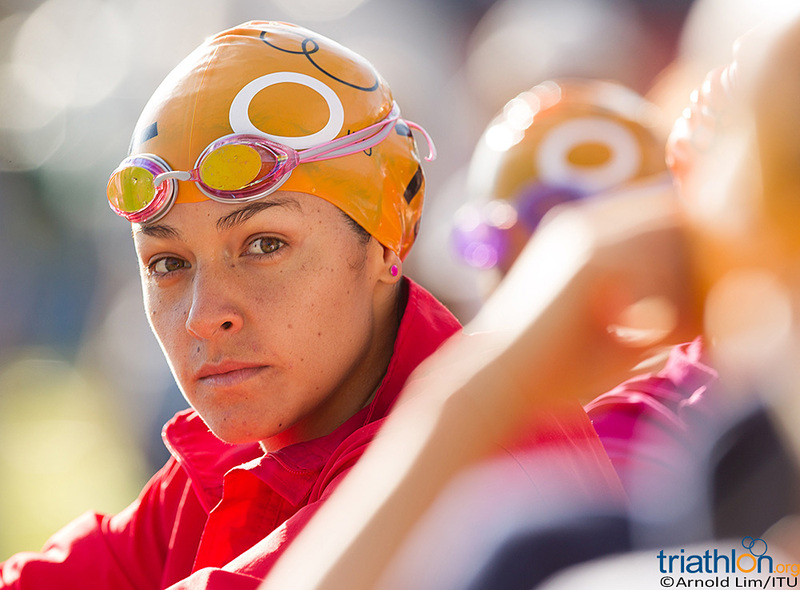 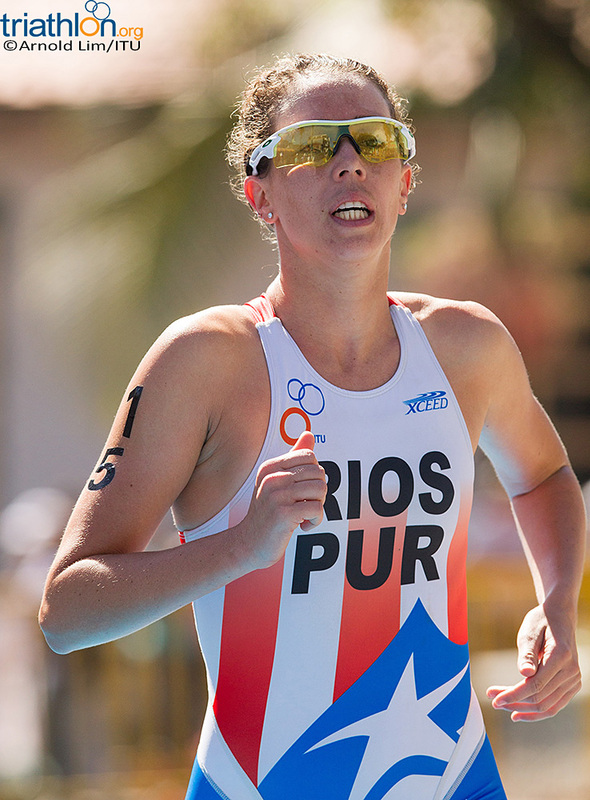 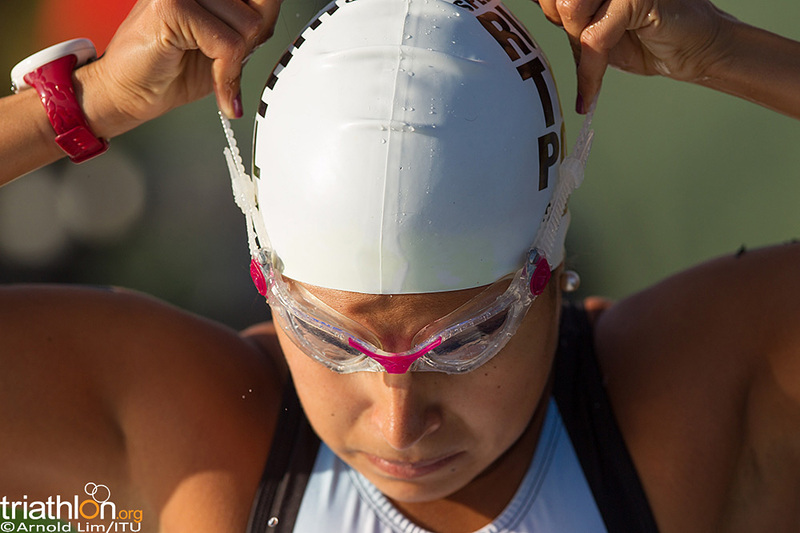 Alia Cardinale Villalobos, the winner of the 2012 Santiago ITU Triathlon Pan American Cup and South American Championships, also cannot be discounted. 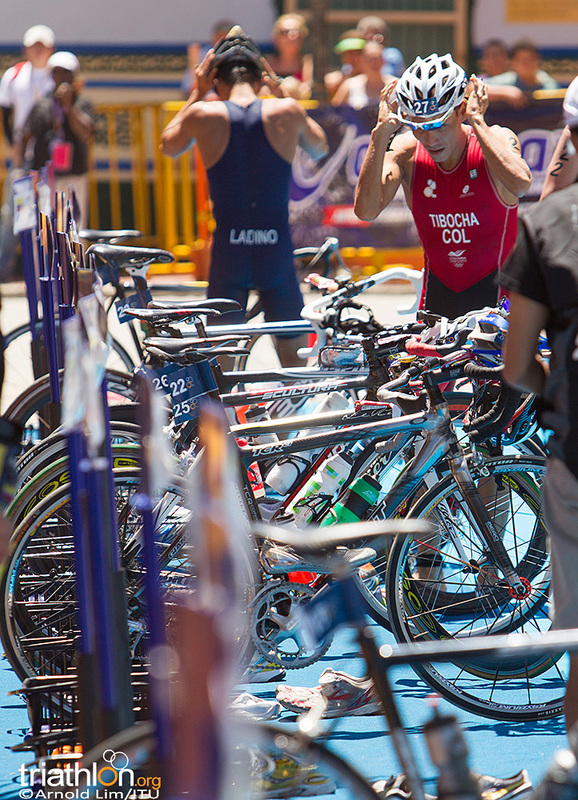 The majority of the start list is made up of Colombians, with more than half the athletes on the start list hailing from the host country. 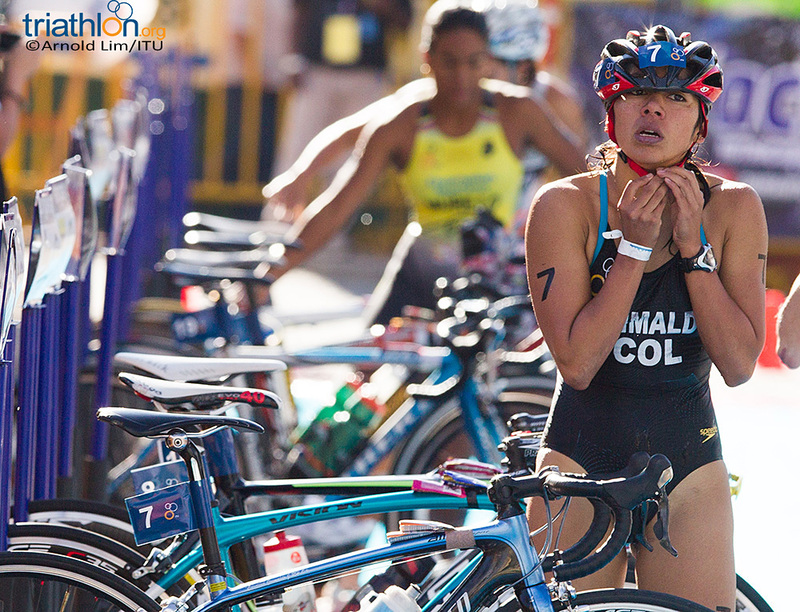 Lina Maria Raga was the first to cross over the finish line for Colombia last year and is back this year to improve her standing. 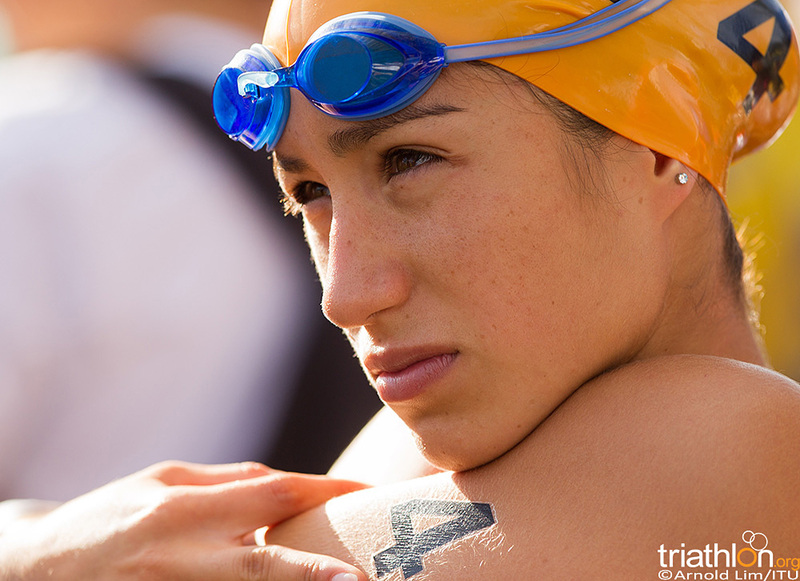 Though Carolina Grimaldo didn’t post a top finish last year, she is familiar with success in the Colombian city. 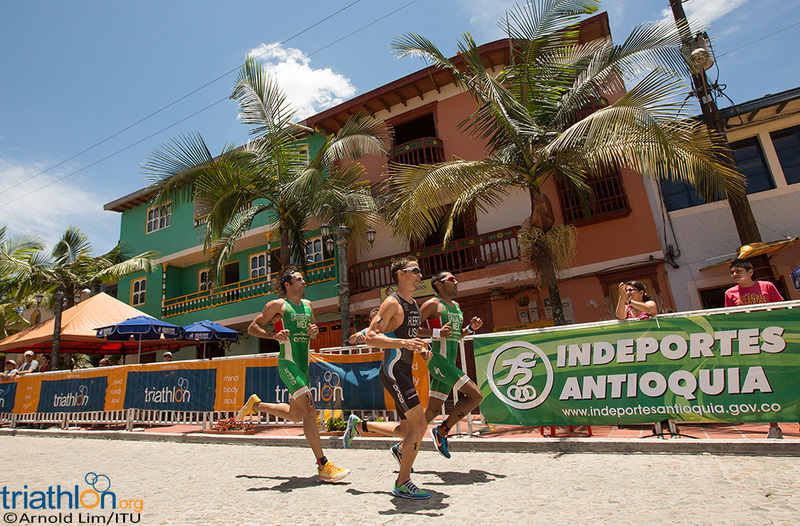 Having claimed silver at the 2011 Guatape ITU Pan American Cup and Caribean Championships, Grimaldo will be someone to keep an eye on. 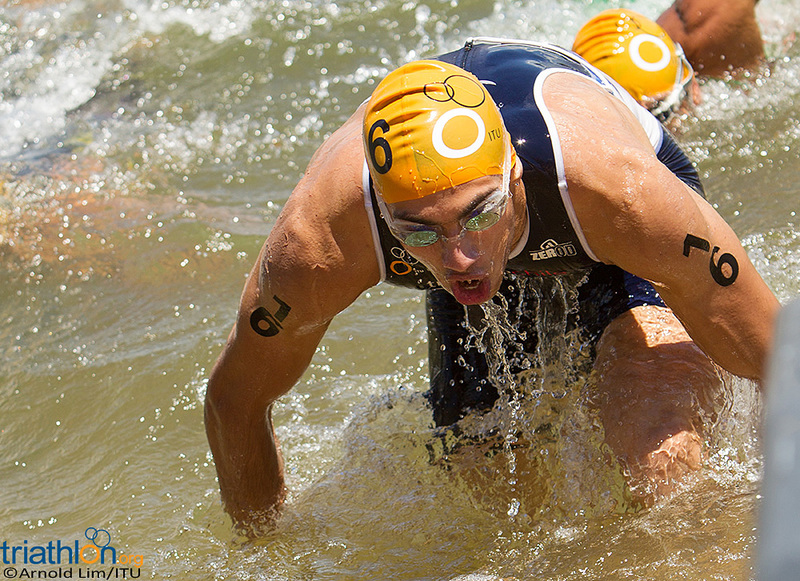 The men’s start list hosts a trio of London competitors. 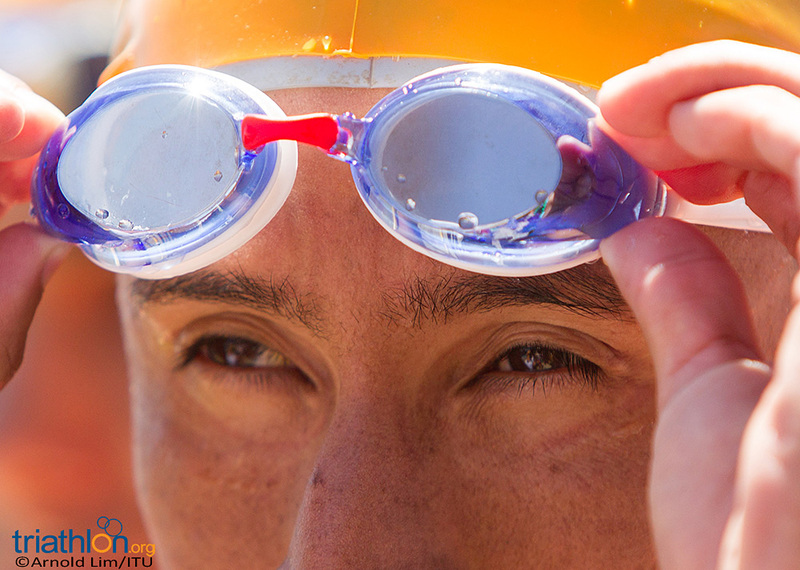 However, Colombia’s own Carlos Javier Quinchara Forero, who became the first Colombian to represent the country in the Olympics this year, is not amongst them. 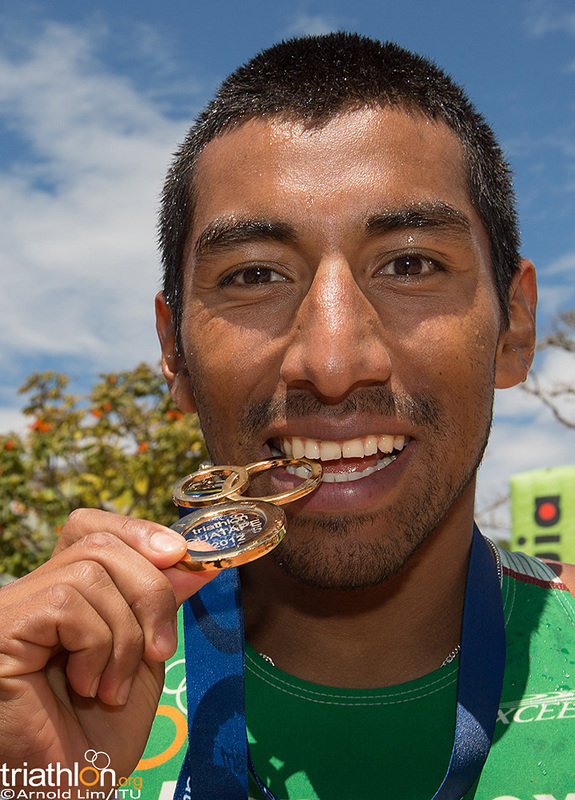 Mexico’s Crisanto Grajales, who experienced great success on the tough course last year with a silver medal finish, will again appear in the race hunting for gold this time around. 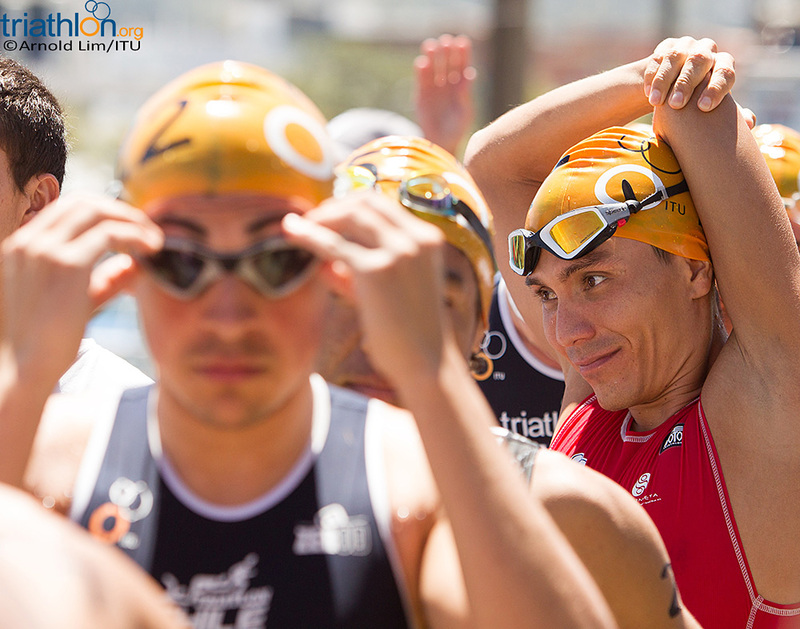 He will face severe opposition from fellow Olympian Leonardo Chacon (CRC). 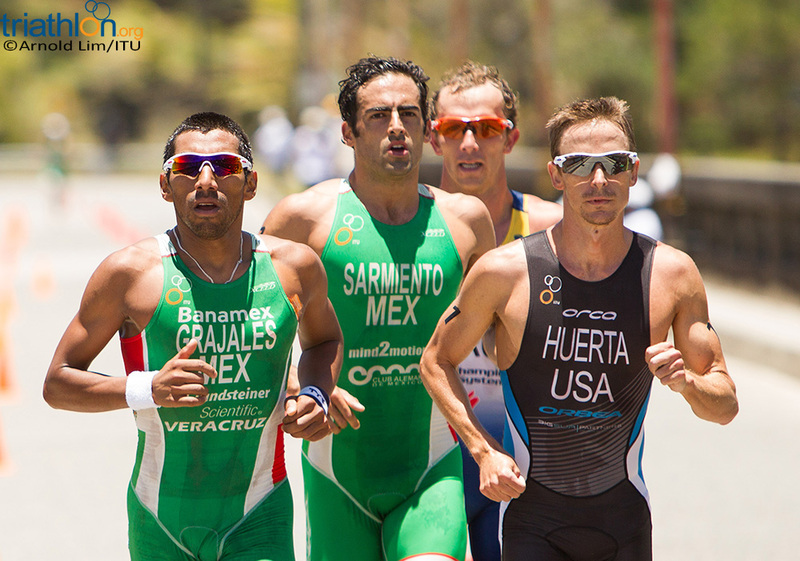 Chacon, a fierce competitor on the bike, rode with the lead pack in 2011 for an eleventh-place finish. 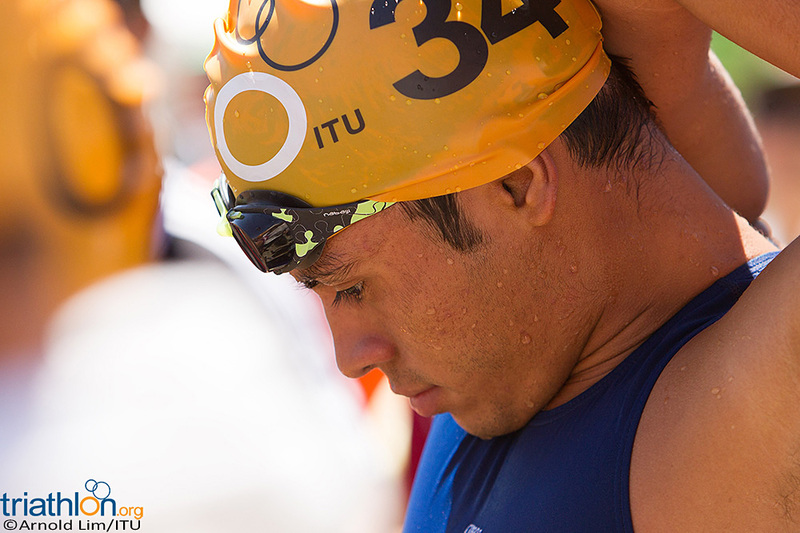 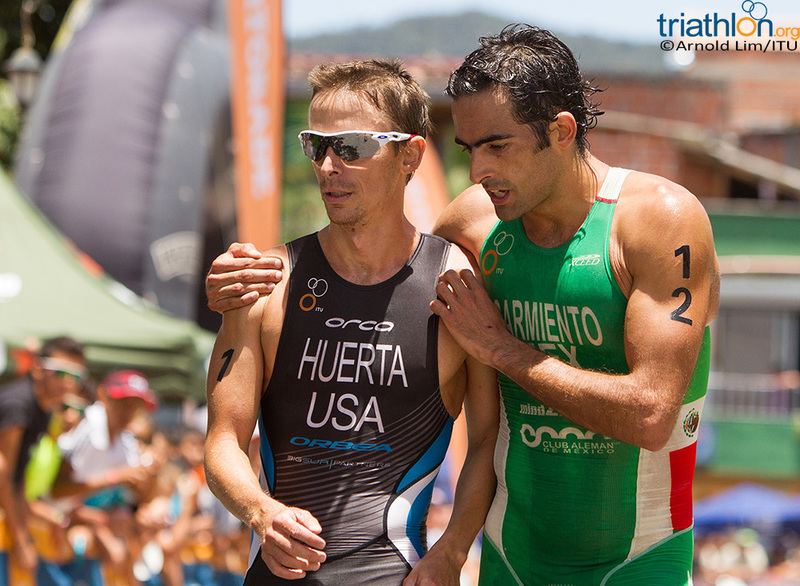 With double the distance this year, Chacon could lead a dangerous breakaway if he exits the water in good position. 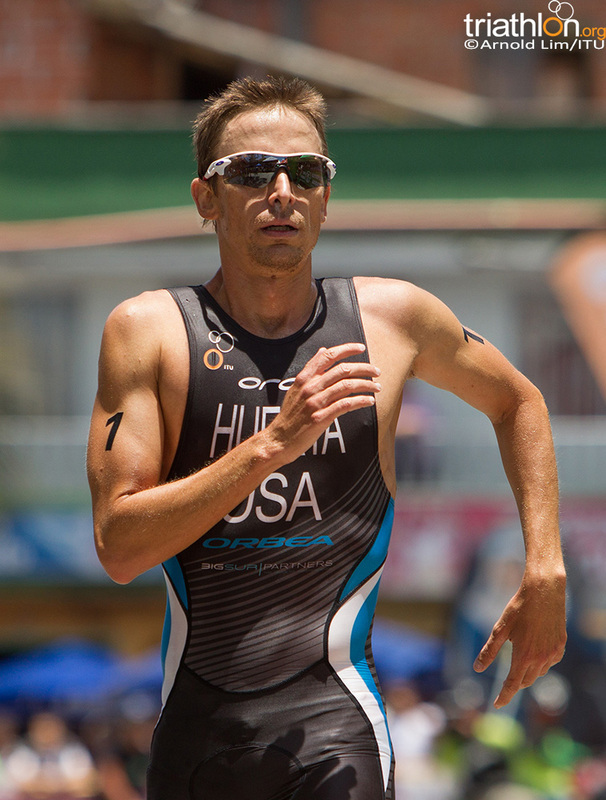 U.S. Olympian Manuel Huerta will wear number one and is also familiar with this race, having finished in the top 10 last November. 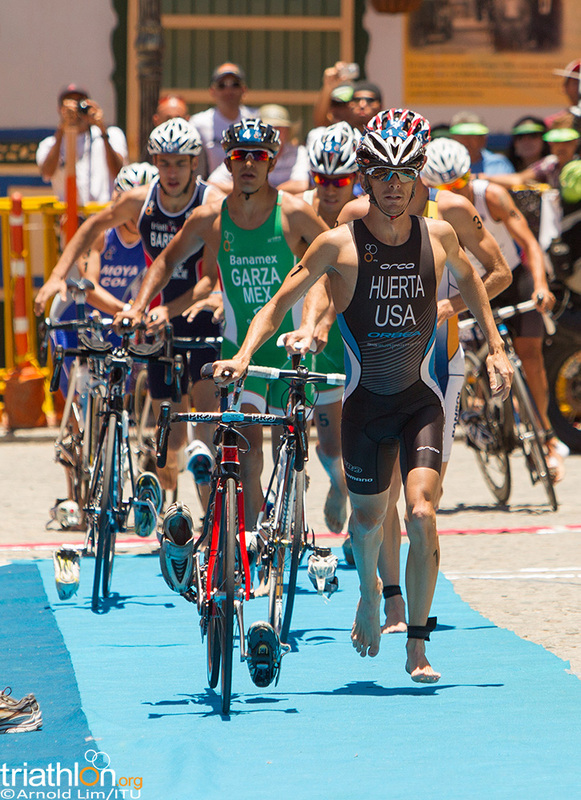 He is a strong competitor in the Pan American races, having recently claimed silver at the 2012 Dallas ITU Pan American Cup. 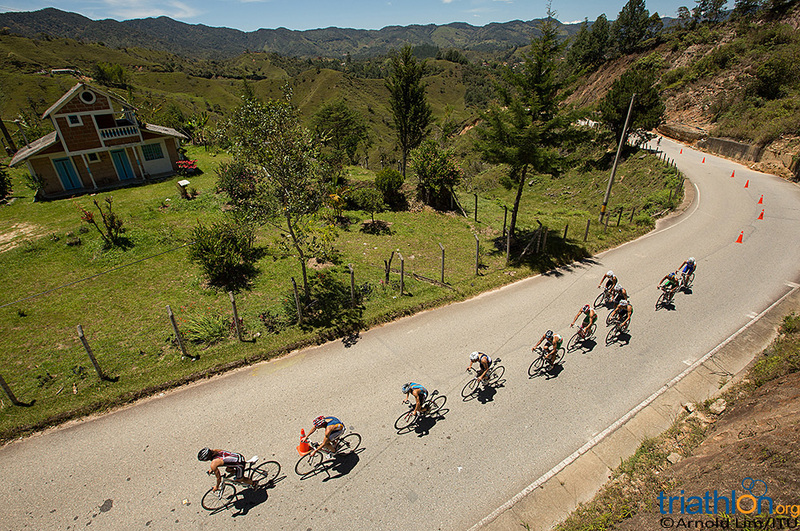 Similar to the women’s race, a number of Colombians will also appear, with 14 men slated to represent their country on race day. 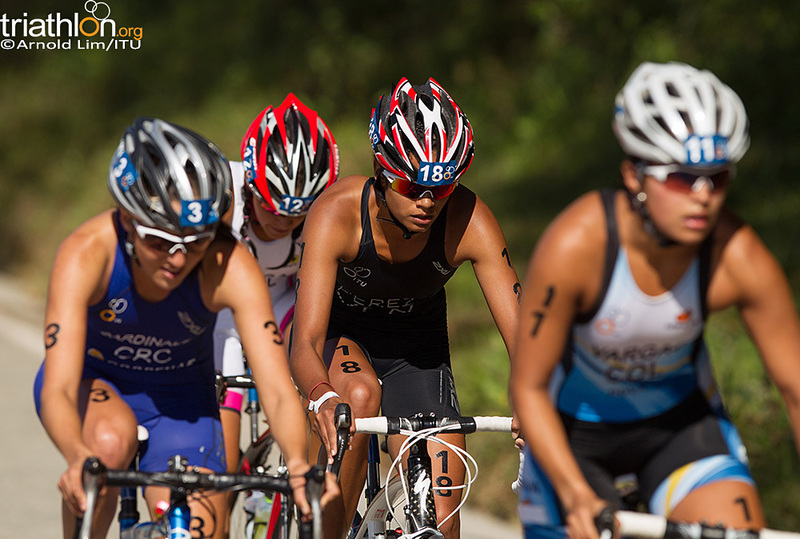 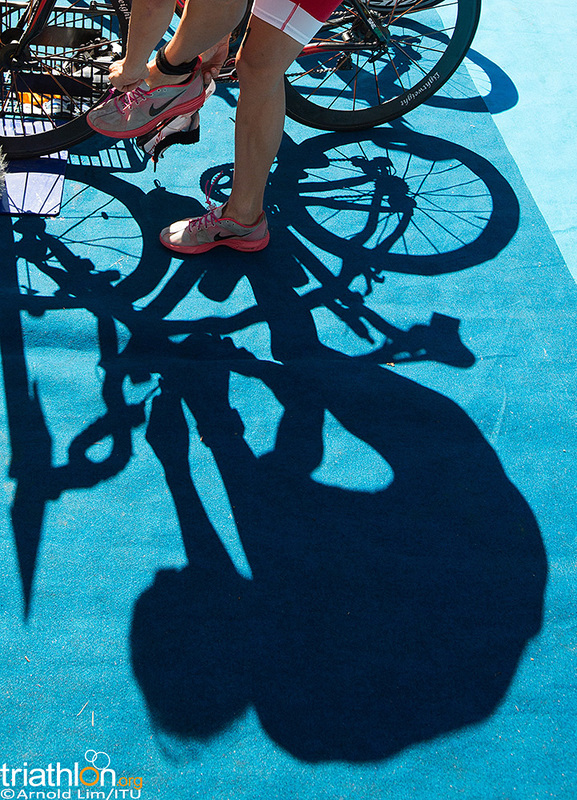 Action for the women’s race will begin at 7:30am local time on Sunday 9 September. 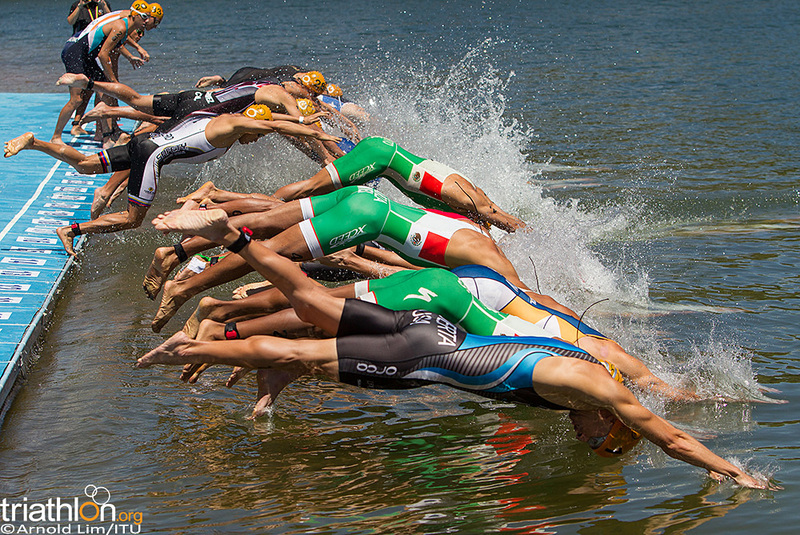 The men will take off at 10:30am. 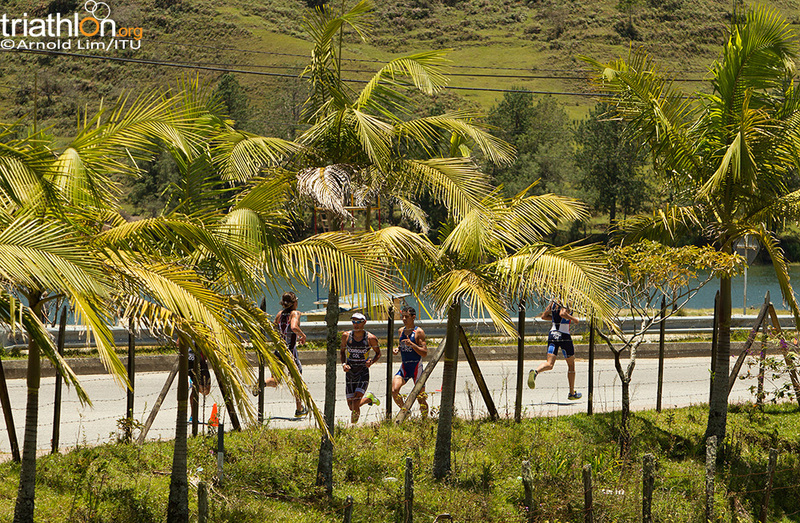 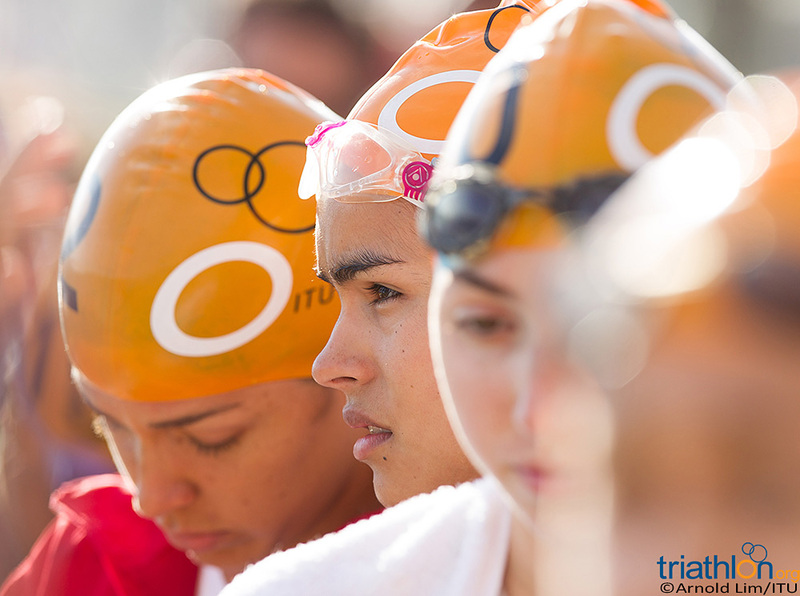 Follow all the events live through with timing and text updates, at triathlon.org/live. 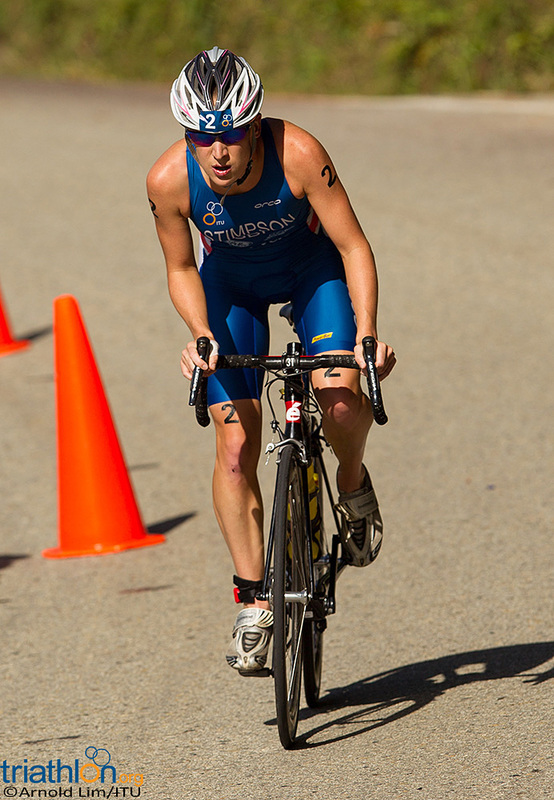 Gwen Jorgensen (USA) surged to overtake Erin Densham (AUS) on the final lap of the 2012 Banyoles ITU Triathlon World Cup with Ashleigh Gentle (AUS) claiming bronze. 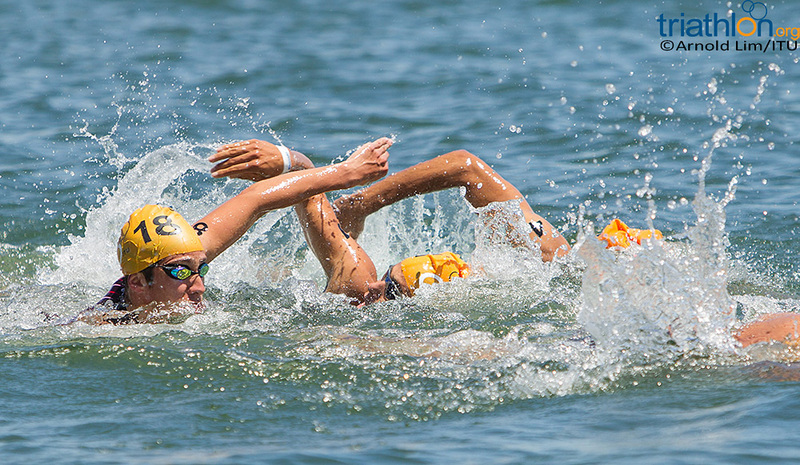 Australia's Erin Densham put in a career best swim, and an unbelievable run leg, to claim her second ITU World Cup career win in Mooloolaba, ahead of Switzerland's Nicola Spirig and New Zealand's Andrea Hewitt. 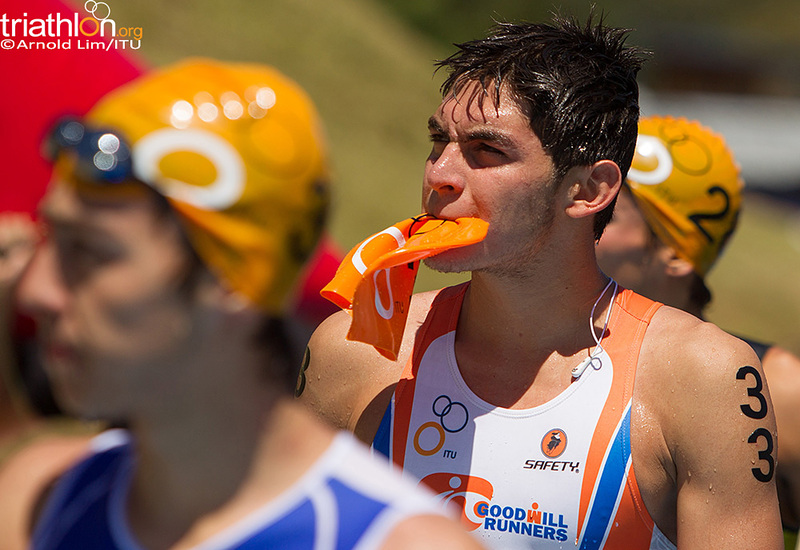 It all came down to an electrifying final finishing chute rush, but France's Laurent Vidal sprinting strategy paid off with his first ITU World Cup win ahead of Brad Kahelfeldt and David Hauss in Mooloolaba.